Kid Pecos thanks Paraje New Mexico area for hosting TL Sound Reggae Dancehall. Now go back towards Grants San Rafael to play Pecos Sound with long time sound cat kutchie love. Migrate towards El Malpais National Conservation Area hoping to find a location to play a vinyl groove dance. http://www.twitter.com/@pecossound put together a reggae vinyl selection at http://www.pecossound.com for this set will replay a few older selections going into 2016′ may God keep all in good cheer for the New Year. 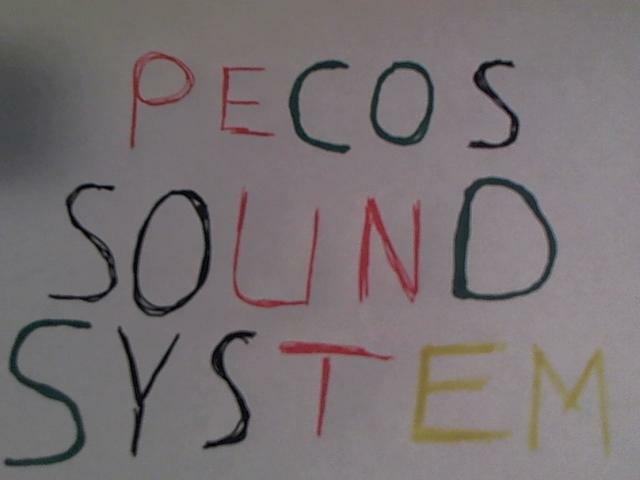 More images that help to make Kid Pecos play Pecos Sound System. This set some vinyl sets will be featured. More thoughts on all genre vinyl tunes, with a special vibe for reggae vinyl. Reggae Dancehall act T.O.K. Curfew label Lynx Production Belmont Records a 1970’s reggae roots release of Trinity. A Classical mostly older vinyl set. Try to meet up some people that enjoyed the sound. Do a sound check to see how sound fits in a location. It is good to find places that can play a nice sounding musical set. Still have most listed items in stock. Classical is nice so to say even genre sound. For Kid Pecos the recording, playing of so many instruments is part of what makes playing it enjoyable. With Opera the vocals being recorded with so many instruments in a pro way to have the whole song being song heard. The mixing of the recorded vinyl is a way to study musical recording. With those thoughts the earliest recording is what the focus of the sound is 1950’s slightly more rare 1960’s sort recorded with major of the 1960’s orchestras conductors artist the major U.S. world cities orchestras are interesting 1970’s – 1980’s more recent sounds to understand the genre. This genre for DJ’ing just sort of song to song mixing. Pecos Sound System tours El Malpais National Conservation Area play a local set towards Grants San Rafael. With cold weather a smaller Winter Storm is approaching. A lot of space open areas are around. This is nice for playing an outdoor sound. Peolpe can walk for miles come back around a central sound area. After walking can hang out around the sound. For the set now an indoor entertainment type area is what a DJ playing a set would need. Working on an all genre vinyl mix with long time sound cat Kutchie Love can say Kid Pecos & kutchielove unites to play a vinyl sound. www.twitter.com/@jarvisbootshine offers all service leather shoe boot care. Pecos Sound with Pecos Sound System is getting a wave of all genre vinyl together join the http://www.tlsoundreggaedancehall.com blog for updates on the best of reggae dancehall web sites. Kid Pecos is getting vinyl tunes set for special mixes. For Pecos Sound System it plays a Version to Version sound. This style is sort of based on the 1970’s Disco playing a song from vocals to music. Reggae early 1980’s played some sounds mixes in this way. The crowd enjoyed dancing to a long groove. Listeners could get caught up with the vocals. Early 80’s you had DJ’s that could sing, chant, bring in out songs, tell a story this would bring in the later Regga Muffin youth for the most part youth’s that would perform a style over Versions. Kid Pecos from playing Pecos Sound System. A nice set up for Club Pecos. Now more focused on early era vinyl. Can not quit explain enjoyment for older genre vinyl. Lots of tunes from 1950’s vinyl era our out there. With vinyl it sort of has a nice from the year type feel sound. Pecos Sound System is working on a vinyl wave for DJ’s Sounds Collectors. Going through the sound is always fun. Finding a few selections to hit the musical ear. Big or just a lot of snow cold wet type of weather next few days. Lots of open space fr playing a sound system in this location, Indoors at the entertain district in the Big Cities around for locals passing visitors to dance at is needed for these sets. A Dance from back in the day indoors, places like this for indoors events Mar Cell Us Book 1990’s Dance Vinyl Sound System. Kid Pecos of Pecos Sound System can play in doors with 1970’s & 80’s for a Disco Dace Vinyl Sound. Big wet snow storm on the way indoors set at 19 San Rapheal Ave. Mar Cell Us Dance Vinyl 1990’s Sound System Kid Pecos plays a Disco Soul Vinyl 1970’s set. 1970’s was a new era of music slightly fast at times with Slower than before side of music in the 70’s disco vinyl sound. 1960’s had a certain vocal to music sound with a certain tempo to musical sounds of the 60’s. With the 70’s the genres around before was recorded in this type of 70’s vinyl groove sounds. That is the good part of a vinyl sound system you can go into for Pecos Sound System many years types of recordings vinyl; selections. Wholesale bulk vinyl is best for http://www.twitter.com/@pecossound you the DJ, Sound System, Vinyl Collector can get a nice mix of vinyl to groove a vinyl mix with. Some 1950’s 78’s. 78’s have a nice older version of sound. If you enjoy mostly all genre songs hits from the era sounds this is a nice format. Kid Pecos put on a few dance tunes check out http://www.twitter.com/@kidpecos to see when new tunes are twitted out. Still playing some smooth sounding older 78’s the 1950’s back sound is an enjoyment, Working multi labels in the sound you can like with an artist works pick up on a 1 mind musical vinyl groove. 1960’s 1970’s while working on Pecos Sound is like playing 78’s. Kid Pecos best vibe for reggae is some late 1970’s most over the decade of 1980 studied the 1980’s and can play a solid 80’s reggae mix. Getting tunes in 60’s 70’s a sound can trip on the labels artist musical drifts. Kid Pecos working on vinyl sell off. With lots of Pecos Label into Pecos Sound System / Tl Sound Reggae Dancehall / Pecos Sound / with long time vinyl sound cat kutchie love new vinyl tunes are being added. The days people that help bring the vibe to together. If you need more info on some vinyl selections some artist, labels not listed kidpecos can check into pecossoundsystem contact with any type tunes listed or of interest at kidpecos@att.net or pecossound@islandmix.com or pecossoundsystem@reggaetrain.com or tlsoundreggaedancehall@gmail.com Kid Pecos will update the needed info. The Zone That Created Prcos Sound System Vibe 1970’s forward and back for vinyl tunes.